Google Analytics has quietly changed the terminology they use within the reports to change what they call "visits" and "unique visitors." Now, visits is named "sessions" and unique visitors is named "users." Savvy Analytics users noticed the change last night and posted it on Google+. 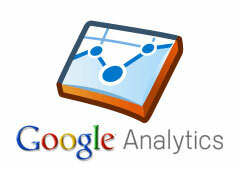 Technically, nothing seems to have changed outside of the terminology used in the Google Analytics report. Google, as far as I can see, has not yet announced this change. This product change can affect you in different ways, based on how your account is set up and what kind of data you collect and send to Google Analytics. 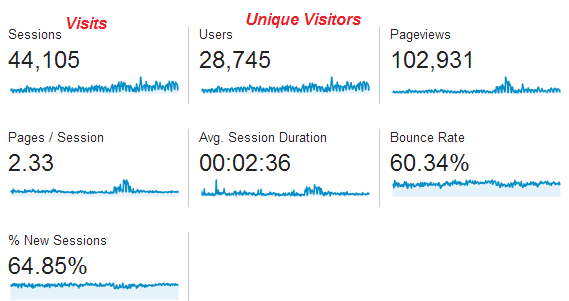 The Visitors web metric and Active Users app metric are now unified under the same name, Users. And, Visits are now referred to as Sessions everywhere in all of Google Analytics. We’ll be making these changes starting today, and rolling them out incrementally over the next week. If you collect and send both web and app hits to one property in your Google Analytics account, all your hits will appear in all your reporting views starting today. If you want to keep your web and app data separate, you need to add a filter to your reporting views. If you don’t send web and app data to the same property in your account, your data stays the same. Everyone, however, will see the unified metric, dimension, and segment names in their reports. Until today, some metrics and dimensions used different names in app views and in web views, even though they presented the exact same data. Now, all metric, dimensions, and segment names are the same, regardless if they’re used for web or app data. This gives you a clear and consistent way to analyze and refer to all of your Google Analytics data.